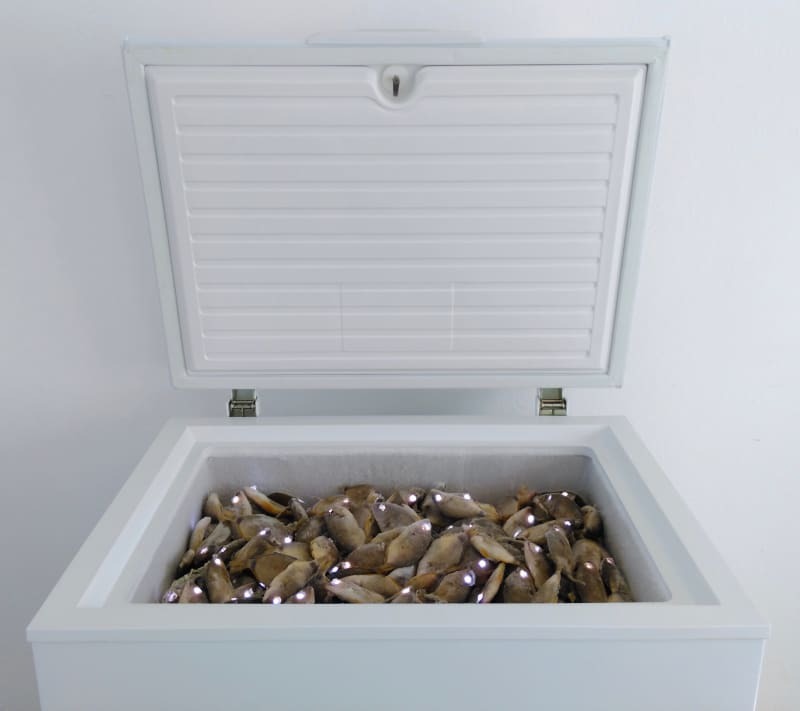 96 frozen fish in chest freezer, christmas lights and glue. This work borrows its title from a song by Art Garfunkel. The song was composed for Watership Down; an animated thriller that explores an apocalyptic vision of the animal kingdom, seen from the animals’ point of view.